In 2012, the UKIFC and ISRA collaborated to release a seminal report titled ‘Enhancing Shari’ah Assurance’. 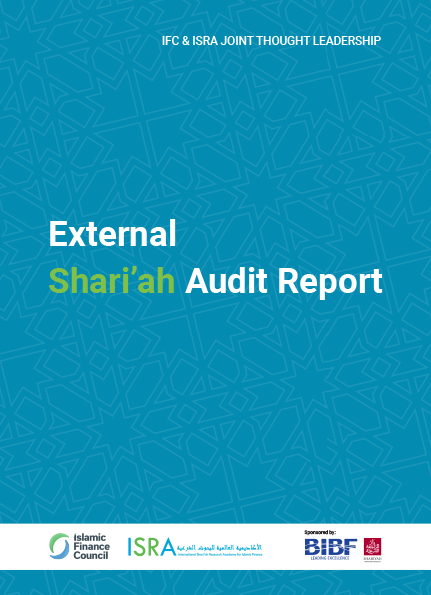 The report adopted the approach of examining leading conventional external audit practices to identify selected issues that can be suitably transferred to and integrated with Shari’ah assurance. The report suggested potential areas for consideration by stakeholders, including regulatory authorities, to address some of the challenges and gaps within the practices of Shari’ah assurance current at that time. The 2012 report and other ISRA and UKIFC work have impacted regulations to encourage development of continuous professional development (CPD) as a mandatory requirement to maintain and develop competence amongst the current and future body of Shari’ah scholars. This has also prompted developments in the external Shari’ah audit (ESA) arena. Using a similar approach, this second issue of the report builds specifically on the topic of ESA. The present report undertakes a detailed review exploring key issues, challenges and possible solutions associated with this contemporary development in Shari’ah assurance. It should be noted that at the time of drafting this report, the Central Bank of Oman (CBO) and the State Bank of Pakistan (SBP) are the only regulators that have issued specific guidelines for ESA. The insights in this report are based on over 35 in-depth interviews with standard setters, regulators, practitioners, scholars and audit firms, conducted across four jurisdictions (Oman, Pakistan, Bahrain and Malaysia). The report is organised in four sections. Section 1 provides a contextual understanding of audit and of current practices within the Shari’ah assurance framework. Section 2 explores the position of multilateral standard-setting bodies. Section 3 provides an overview of the positions of select jurisdictions with regards to ESA. Section 4 concludes the findings of the report and suggests the way forward. Please register to receive your free digital copy of our latest report.